Jennifer Chang has moved on to become a second-year member of the University of Southern California’s golf team, but her memories of participating in two World Junior Girls Championships remain fresh in her mind. Chang, of Cary, N.C., was named to the All Pac-12 First Team after her freshman year at USC. She was one of approximately 60 golfers who took on The Marshes Golf Club in Kanata (about 15 minutes west of downtown Ottawa) a year ago (finishing tied for 21st), and about 50 golfers who played at Mississaugua Golf and Country Club in 2017 (where she finished runner-up). 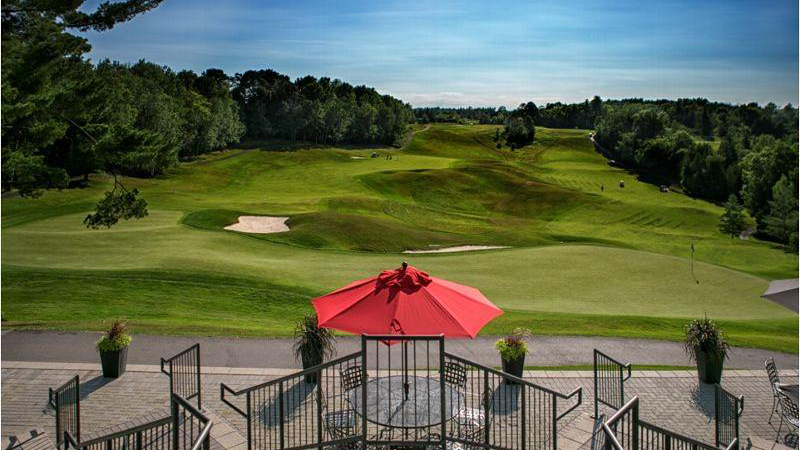 This year the World Junior Girls Championships remains in Ottawa, and heads to Camelot Golf and Country Club in Cumberland, about 20 minutes east of downtown Ottawa. There will be 63 golfers competing from 20 countries around the world, and in addition to the 72-hole team and individual golf competitions, there will be a celebration of the sport all week long. Prior to the tournament getting started, there will be a coaching summing, and skill-development clinic, and a Junior-Amateur event. The course is home to Golf Canada National Team member (and past World Junior Girls Championship participant) Grace St. Germain, and hosted the 2012 Canadian Men’s Amateur Championship, plus the 2017 Canadian Junior Girls Championship and final qualifying for the 2017 CP Women’s Open. This year’s World Junior Girls Championship runs from September 9-14. Greg Richardson is the General Manager of the club – established in 1991 – and he said Camelot would be leaning back to the set-up from the Men’s Amateur somewhat this fall. However, the course underwent some “major” bunker work after that event and said those changes were very successful, which led to the course hosting a handful of other big-time events. Richardson said his members have been thrilled at the opportunity to host some of the world’s best amateur golfers in a few weeks time. About three years ago the members were presented with a strategic plan for the golf course moving forward, and part of that plan was to bring some of the best golfers in the world to experience what Camelot has to offer. Although Chang was a top amateur in the United States over the two years she participated in the World Junior Girls, it was still a unique opportunity for her to indeed test her mettle against some not-so-familiar faces. Chang said between the camaraderie and the experience overall has been beneficial for her as she moved into her collegiate career and then, hopefully, onwards to the LPGA Tour. Camelot will be a difficult challenge this September, but Chang said the most important thing for the participants this year is to just enjoy themselves.